Prime Minister said in his reply that the Government approved the Bill on Amendments to the State Borders Act at its last Thursday? 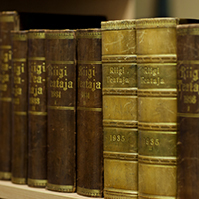 sitting, and that it would be forwarded to the Riigikogu in the days ahead. The amendment to the Act entitles the Minister of Internal Affairs to conclude, by authorisation of the Government, a contract under public law with the local government or a legal person governed by public law for the regulation of entry of the means of transport in a border point. 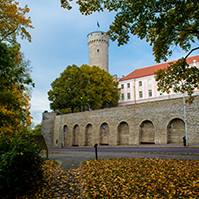 If the amendment is approved, the Government and the Minister of Internal Affairs will be able to conclude a relevant contract under public law, either with the Town of Narva or a legal person governed by public law. ?On the one hand it is a border crossing, on the other hand this is a task within competence of a local government, namely the regulation of traffic within the borders of local governments. So that is a legal solution?, the Prime Minister marked. 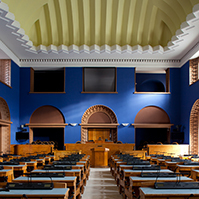 Prime Minister Juhan Parts replied also to the interpellation (No.93) concerning the implementation of the Republic of Estonia Principles of the Ownership Reform Act and the Use of Privatisation Proceeds Act, submitted on July 20 by Member of the Riigikogu Helle Kalda, and to the interpellation (No. 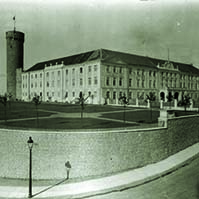 96) concerning the foundation of the School of Fine Arts, submitted on July 20 by Members of the Riigikogu Heimar Lenk, Mailis Reps, Nelli Privalova, Evelyn Sepp, Vilja Savisaar, Ain Seppik, Mihhail Stalnuhhin, Kaarel Pürg, Küllo Arjakas, Toivo Tootsen, Arnold Kimber, Marika Tuus, Värner Lootsmann, Eldar Efendijev, Jüri ?ehovtsov, Toomas Alatalu, Helle Kalda, Toomas Varek and Enn Eesmaa. Minister of Culture Urmas Paet replied to the interpellation (No. 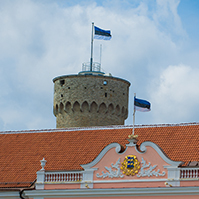 94) concerning the foundation of the School of Fine Arts, submitted on July 20 by Members of the Riigikogu Heimar Lenk, Mailis Reps, Evelyn Sepp, Nelli Privalova, Mihhail Stalnuhhin, Ain Seppik, Kaarel Pürg, Vilja Savisaar, Toomas Varek, Enn Eesmaa, Eldar Efendijev, Toivo Tootsen, Arnold Kimber, Helle Kalda, Värner Lootsmann and Marika Tuus. Minister of Education and Research Toivo Maimets replied to the interpellation (No. 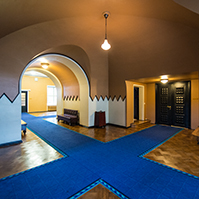 95) also concerning the foundation of the School of Fine Arts, submitted on July 20 by Members of the Riigikogu Mailis Reps, Evelyn Sepp, Kaarel Pürg, Marika Tuus, Nelli Privalova, Mihhail Stalnuhhin, Helle Kalda, Eldar Efendijev, Heimar Lenk, Toomas Alatalu, Värner Lootsmann, Toomas Varek, Enn Eesmaa, Ain Seppik, Vilja Savisaar, Toivo Tootsen and Arnold Kimber. Minister of Social Affairs Marko Pomerants replied to the interpellation (No. 99) concerning the improvement of children?s health and their medical services, submitted on September 13 by Members of the Riigikogu Marika Tuus, Toivo Tootsen, Heimar Lenk, Nelli Privalova and Mailis Reps.